In previous blog, we've blogged about sending Mass Email from Salesforce. Next, can we track if the email send out is bounced? Yes, Salesforce have this feature out of the box. But make sure you have to activate bounce management. To check if you have bounce management activated, navigate to Setup | Email Administration | Deliverability. 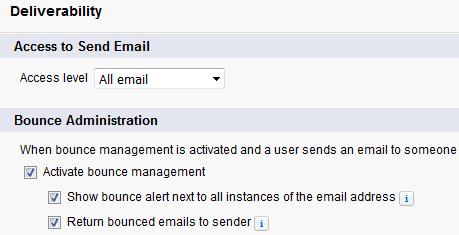 When bounce management is activated, and a user sends an email (including send with mass email) to a contact, lead, or person account with an invalid email address, Salesforce displays an alert next to that email address and prevents users from sending email (it will be excluded in the list view for mass email) to the address until it is updated or confirmed. 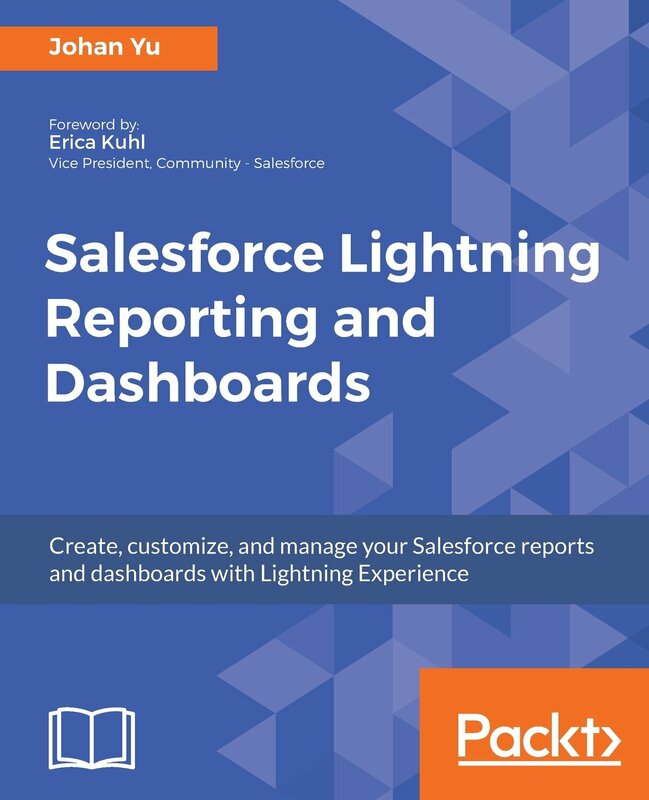 When this enabled, this will tell Salesforce to search ALL lead, contact, and person account records in your Salesforce instance of any email address that bounces, and to display a bounce alert next to each record. The Email Bounced Date and Email Bounced Reason will be the same for all other records found. If you do not select this option, Salesforce only displays the bounce alert on the record from which the email was originally sent. This feature applicable only for standard Email field, if you have custom email address field, and the email address match, bounce alert will not be shown there. When the same email added after email bounced, bounce alert will not add to this newly added email. When you enable this, sender will receive email for every email bounced with the bounce reason. If the mailbox is invalid for a valid domain, you should get email notification and bounce alert almost immediately. But for email address with invalid domain, such as: abc@salahpunya.com, where salahpunya.com is invalid domain, Salesforce will re-try to deliver the email for 10 times with approximate interval of 0, 10, 10, 20, 40, 80, 160, 320, 640 minutes after the last email sent. After 24 hours of delivery failure, email address will be marked as permanent failure and sender will get bounce email. 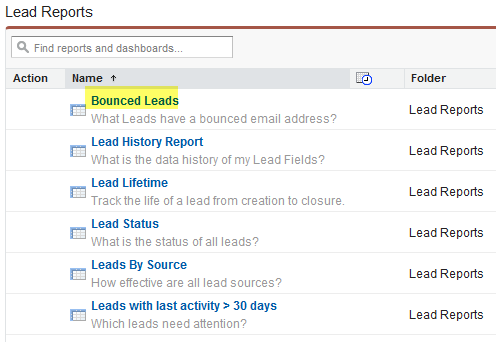 Salesforce provide Bounced Contacts and Bounced Leads standard report to view all email addresses that have bounced email. The report includes the reason the email was bounced, the date the bounce occurred, and the contact, lead, or person account that bounced the email. 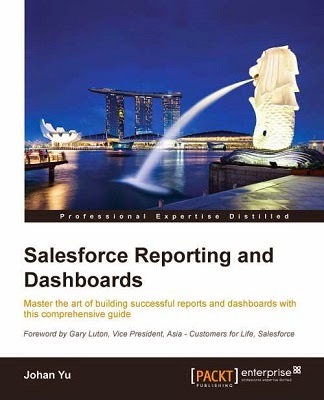 You can modify the report as per normal report creation in Salesforce. This fields are available as well when you create report using Lead report type. 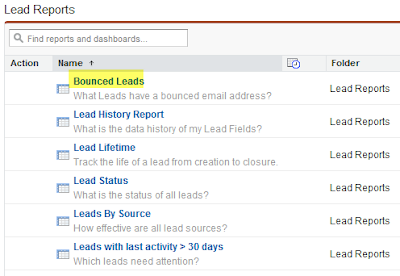 The same fields and report you can use for Contact the same with Lead, including from Bounced Contacts report from Contacts tab. When user go to contact or lead with email bounced, click Confirm Email Address link and click Save and Remove Bounce Alert. 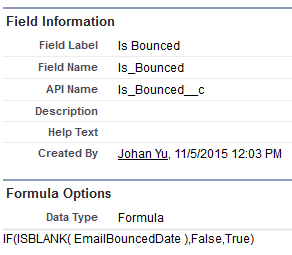 This will make the both fields Contact Email Bounced Date & Email Bounced Reason fields become blank. 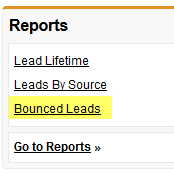 The Lead or Contact will be removed from Bounced Lead or Bounced Contact reports. Note: Salesforce will mark the email address as bounced if only get response from MTA (Message Transfer Agent) that owns the domain, presented the recipient to them and they have rejected it with a 5xx error that amounts to user unknown. If error messages received is not in Salesforce list, the email may not be marked as bounced. See the complete list of reply from MTA that will be used to mark email as bounce in reference below. What are the Salesforce IP Addresses to whitelist? Why does bounce management not work sometimes?